hvarf-heim' is a double companion record to the film "heima". it has two titles because it is in effect two separate, but complementary, entities, with two front covers and a limited edition run of two discs. 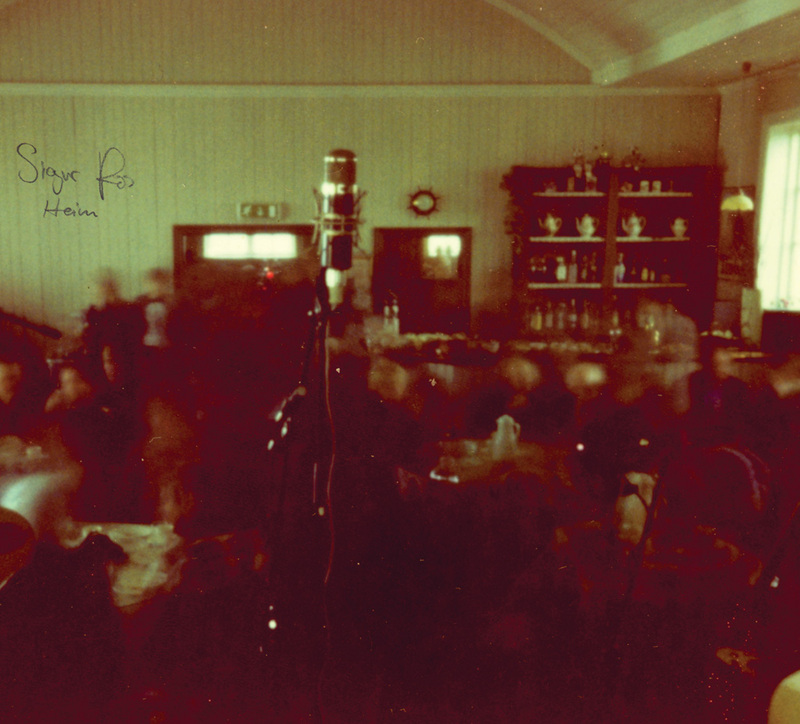 open it one way and it's 'hvarf' ("disappeared" or "haven"), a five track electric studio record comprising mainly unreleased rarities from sigur r�s's back-pages, none of which is on 'heima'. open it the other way and it's 'heim' ("home"), a six track acoustic record, comprising delicate new unplugged versions of some of sigur r�s's best moments, which have never been performed before. the band were originally asked to deliver a traditional live album to go with the live film, but thinking about it, with sigur r�s that wasn't ever going to happen, and what we have here in 'hvarf-heim' is hopefully more stimulating and exciting than some will-this-do? toss-offs of songs they honed to perfection in the studio aeons ago. 'hvarf-heim' features three previously absolutely unreleased electric songs (salka, hljómalind and í gær) and is, anyway, wall-to-wall re-workings. 'hvarf-heim' is released worldwide november 5th / north america november 6th. ordering information is here. 'hljómalind' was known by everybody involved as 'rokklagið' ('the rock song'), until the band had to come up with a proper title for this release. it was briefly called (in english, at least) 'the rabbit and the prince', but no-one really felt comfortable with that. the rabbit was kiddi, who managed the band at the time the song was written and ran hljómalind, the indie record store on laugavegur in downtown reykjavik 101. the prince was valli, roadie, fly-poster and friend to the band. kaffi hljómalind is now an organic joint that serves the kind of latte you can't drink two of without suffering a panic attack. the song was written for the first session off the back of the '�g�tis byrjun' album. it was recorded for a possible ep with producer ken thomas at ridge farm studios, but the band didn't really like the way it turned out and it got shelved. the song was scarcely performed live, and when ridge farm later shut down, even the master tapes disappeared off the surface of the earth. as a result 'hljómalind' was almost written out of the script. truth be told, sigur rós are a little bit sensitive about 'hljómalind', considering it a bit too simple and formulaically structured to get through the quality filter, hence the softly jibing 'rokklagið' nomenclature. it has, however, had a habit of sticking around, taking on some sort of legendary status among fans, and since, after hoppipolla, everyone thinks sigur rós are a pop band anyway, it was thought that they could put the tin-lid on that reputation with this three-chord wonder. known until recently as 'lagid í gær', 'í gær' means simply "yesterday", which seems entirely apposite given the nature of this particular project. written after '�g�tis byrjun' in the same flurry of activity that birthed 'd�narfregnir og jar afarir' ('funeral announcements and deaths') and 'b�um b�um bambal�' (interpretations / cover versions used on the b-side of the 'ny batteri' ep and 'angels of the universe' soundtrack), it forms part of what is internally known as sigur rós's brief prog rock excursion, which pretty much began and ended with these songs. 'í gær' has been played sporadically over the years, largely around when it was first written and more recently on the summer 2006 tour of iceland. it remains a highly dramatic and effective piece of music and a time capsule of a direction the band flirted with and then abandoned. feel that hammond! 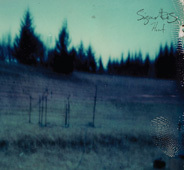 in 1995 sigur rós were scarcely off the concept board. jonsi, georg and drummer agust gunnarsson hadn't even grown their hair yet, let alone cut it off again. kjartan was still a way off being a band member, although he would soon join them live - and had himself glorious, gender-defying dresses. of the last century � would completely eclipse the nebulous, gossamer delicate version on the original record. finally recorded back-to-back with 'von' a couple of years ago - partly in order to get the manager off their back, who was forever suggesting that we should give the people what they want and make these two long-held live favourites available - 'hafsól' is the only real rival to 'poppsong' ('untitled 8') as a potential sigur rós set closing out-and-out rock song. lead by georg's innovative use of drum stick on bass strings, 'hafsól' has a mantra-like quality which builds gradually until a mid-song mini dam-burst of energy signified by amiina's emphatic pizzicato strings. thereafter things continue to escalate until, with dizzying abandon, near cacophony threatens to engulfs the song towards the end of an exhausting 10 minutes, out of which emerges kjartan's shrill penny whistle coda. if you seek out the version of 'hafsól' (as it was then called) on 'von', it is pretty hard to even identify it as even the same root material. it's fun trying though. 'samskeyti' is that rare thing, a sigur rós instrumental. when the band used to play it live around the '( )' album (on which it became known as 'untitled 3'), jonsi would sit on the floor holding an e-bow to the strings of his guitar making it sing in his place. here a mordant harmonium leads us towards kjartan's super-pretty, circling piano motif, while violins provide the "lark-ascending" top-notes. 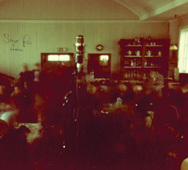 this version was recorded at the gamla borg community hall, an hour or so outside reykjavik in april '07, after the audience for the late afternoon concert had already left. 'starálfur' is one of those sigur rós songs that everyone just loves, but for the longest time they didn't play live. a highlight of their break-through album, '�g�tis byrjun', it � along with the similarly admired 'viðrar vel til loftárasa' - didn't get performed for the longest time, with the band saying they couldn't do justice to the studio recordings. eventually, however, they relented, and 'viðrar�', at least, became a staple highlight of the band's set. 'starálfur', on the other hand, only made it into the set infrequently, despite sounding fantastic and always being hugely-anticipated by audiences from the opening piano note. to hear it played at all is something special. to hear it played acoustically is something that only the handful of people who were either at the alafoss protest or gamla borg show have had the pleasure. this recording was made live on the floor of the band's studio for the film. the song that started it all. when sigur rós decided, on the spur of the moment, to take a detour from their filmed tour of iceland to go and play at the protest camp at the karahnjukar dam - which would soon flood many square kms of pristine icelandic wilderness close to the east fjords � they took almost nothing with them. a small generator had been dug into a shallow hole to provide minimal power for the performance, but since the protest was against a dam built to provide electricity for an american aluminium smelting plant, the band decided to go unplugged for the first time in their career. they played to a hardy audience, numbered in the tens, performing the few songs they had worked out acoustically, but it was watching the lone camera recording of 'vaka', with mountain wind whistling in the mic, that decided them on the acoustic route for this project. 'vaka' used to be known as the first track on the album with no name - or 'untitled 1' on '( )', if you like � within the band and on set-lists it has always been known as 'vaka'. and so it is here. 'ágætis byrjun', as far as i am aware, was never performed live until last summer. and still has only been played a handful of times in far-flung bits of iceland. this take was made in an empty community hall at vik, anti-clockwise round the south coast of iceland from reykjavik. it's the version you will be able to see in the 'heima' film. the final song on the band's most recent album, this version of 'heysátan' was recorded in the middle of absolutely nowhere out on the western tip of the west fjords at the bizarre outsider art folly in selardalur. this proved to be an appropriate setting for a song about a happy death in rural isolation. this live acoustic version of 'von' was recorded the same day as 'samskeyti' at gamla borg in april 2007. the idea is that it provides a counterpoint to the electric version found on the other side disc of this collection. amazing, isn't it? you wait 10 years for a decent recording of 'von' and then two come along at once!